​We wouldn't be here without YOU! On behalf of the women and girls we serve, we cannot thank you enough for your generous donation of time, talent, in-kind gifts and funds. We meet at the Handlery Hotel in Mission Valley at 5:30 p.m. on the 1st and 3rd Tuesday of every month for our business and program meetings. Join us in the lobby lounge next to Postcards Restaurant, every 3rd Tuesday evening to socialize, network and catch-up with new and old friends from 4:00 p.m. - 5:15 p.m. Please use the buttons below to pay online with your credit card for upcoming Tuesday business and program meetings. Specify your menu choice in the "instructions to merchant section" before you check out of PayPal. Unless otherwise mentioned, we meet in the Poolview Room and meetings are not held in December and July. Please make your reservation by the Thursday prior to each meeting. We look forward to seeing you soon! We keep our updated list of all meetings on our event calendar page. Service Projects are designed to address the needs of women and girls and to ensure the projects are in line with the Soroptimist mission. This committee may have sub-committees. 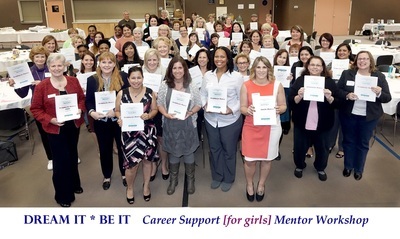 Dream It, Be It provides career support for girls through education and access to role models who will empower girls to pursue their career goals. The committee will explore the challenges facing girls in the community, address the challenges by conducting a community assessment as needed and decide a strategic approach to reaching girls and increasing the project’s impact. ﻿﻿International ﻿﻿Projects﻿﻿﻿﻿ keeps the lines of communication open with our six international Friendship Links (Yokohama-Higashi, Japan; Istanbul, Turkey; Sunderland, England; Luxemburg, Tijuana Centro, Mexico; and North Island, New Zealand;) and achieves a better understanding with and support of United Nations programs. ﻿﻿Live Your Dream Award screens and selects a female recipient who is attempting to elevate her economic status through education to receive a monetary award. Woman of Accomplishment Award (WOAA) recognizes and honors women that work to improve the lives of women and girls in our local communities and throughout the world through programs leading to social and economic empowerment. Recruitment and Retention (R&R) determines eligibility of prospective members and promotes understanding of membership eligibility among the members of the club. Members of the R & R committee will offer TLC (Tender Loving Care) to members in need of TLC, develop strategies and actions to identify potential members, to retain current members and to provide Orientation of new members. SOLT (Soroptimist Orientation and Leadership Training) is a responsibility of the R & R committee and educates club members about the heritage, purpose, objectives, policies, and programs of the organization, and prepares club members for leadership within the organization, and in their own communities. ﻿﻿Special Events ﻿﻿schedules, plans and organizes social events during the year (fifth Tuesday, Holiday Events, Installation of Officers). Public Awareness Committees Public Affairs arranges for speakers throughout the year relating to local, social and personal Soroptimist goals. PUBLIC RELATIONS/PUBLICITY develops favorable public relations and publicity for the club's special and organizational events within the community. ​NEWSLETTER produces a monthly publication of club news and events. WEBSITE promotes and enhances the public image of the club and maintains a current website. ROSTER maintains an up to date list of club members, including their work and personal addresses, phone numbers and email addresses. SOCIAL MEDIA/EMAIL works in connection with the website & newsletter to enhance the public image and respond to email inquiries. 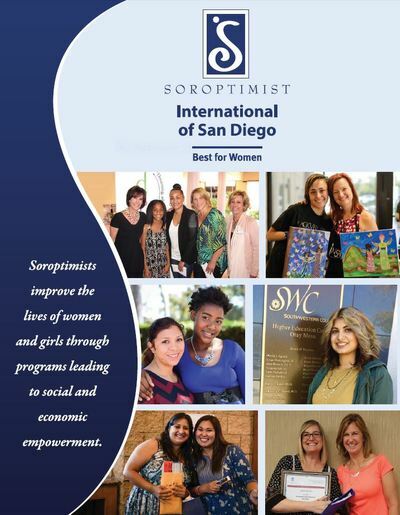 DONOR RELATIONS sustains and nurtures established relationships with individuals, business and organizations that support the Soroptimist mission. Identifies and coordinates methods of raising money for both the general and service funds through projects and events. The committee will also seek out and establish lasting relationships with Donors. Budget and Finance prepares the budget for the succeeding year and reports to club members twice a year on the status. 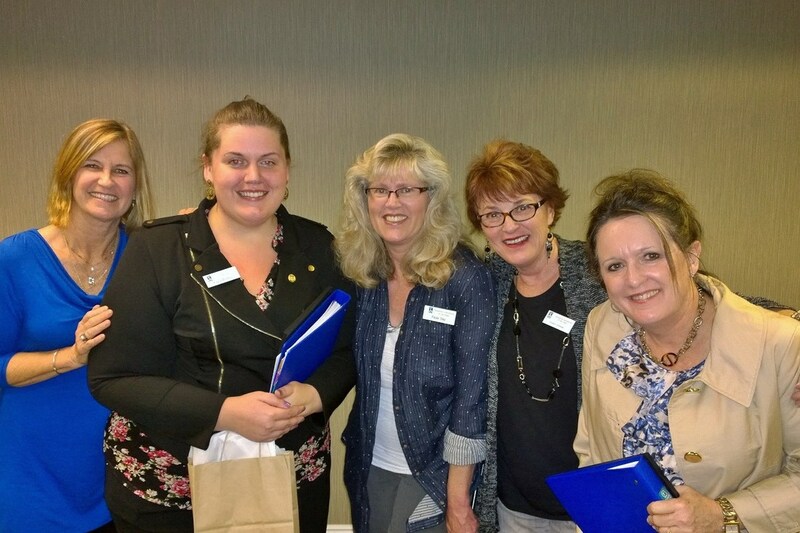 Laws and Resolution keeps the club Bylaws and Procedures current and within the rules established by the Soroptimist International Constitution, and Bylaws of the Federation and Desert Coast Region.